Enjoy a 3h approx. tour around the city accompanied by our expert guide. 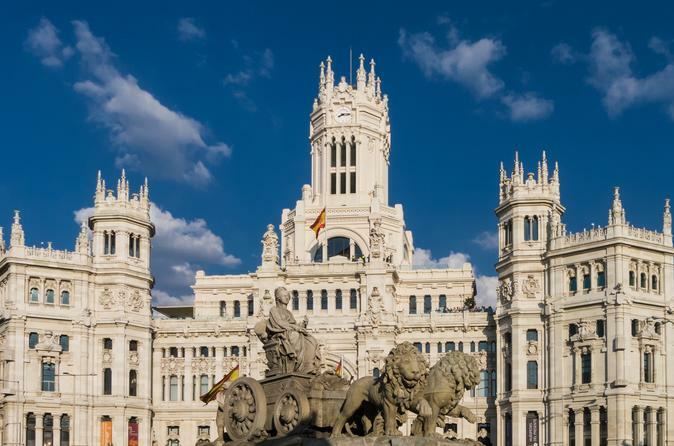 Tour begins from your accommodation at 9am, covering Gran Vía street, Plaza de España, Moncloa, Mayor street, Puerta del Sol, Puerta de Alcalá until the Bullring. Columbus square, Paseo de la Castellana until Santiago Bernabéu Stadium, Plaza de Castilla and many more… There is no better way to have an overview of what Madrid can offers you. Don't lose detail about the history of the old Habsburg and Bourbons quarters to the present modern city. At the end of the tour we will drop you on your hotel or place you decide in Madrid center area. You will have plenty of time to continue exploring the city on your own.